However, a new report has come out courtesy of ABC 8 News, based out of Richmond, Virginia. They spoke to health experts who have claimed that Fortnite could have players addicted just as badly as heroin. They then claimed to perform tests with a number of teenage boys, and how one child continued to play Fortnite even as a tornado was touching down, and only after power lines were cut did he manage to break away with his family to find safety, reports Comicbook. However, the experts are actually never named, so maybe the ‘heroin’ aspect is a little over the top. 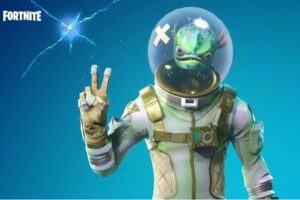 The thing is, children are so addicted to Fortnite that they are having to be sent to rehab.